Smith Auto Solutions is a FULL SERVICE shop. 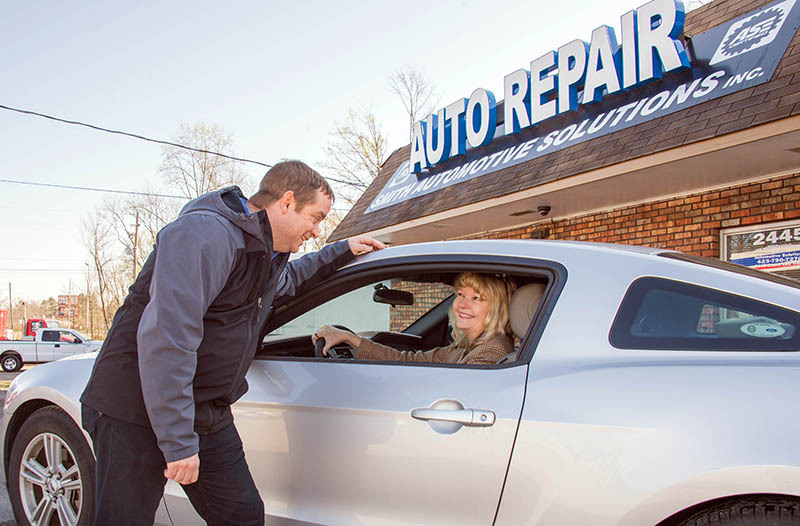 We are able to handle a full range of auto repair, maintenance, and testing. From bumper to bumper, and everything in between, we’ve got you covered. Click below to find a partial list of services. Don’t see what you need? Contact us! At Smith Auto Solutions of Cleveland, TN we work on all makes & models of vehicles. Whave more than 25 years of experience with Honda and Acura repairs. We will get your vehicle back in top shape quickly! Question about your Honda, Acura or other vehicles? Contact us today! We offer DOT certification, full service diagnostics and repair on diesel vehicles and work with companies for fleet repair and maintenance. We can get your vehicles back on the road fast! We take most fleet payment options. Contact us today if you have questions on our diesel and fleet work. Bring your car to the experts at Smith Automotive Solutions, Inc. today! No one can offer the service, experience, knowledge and professionalism of Smith Auto Solutions of Cleveland, TN. Our team of ASE certified mechanics are dedicated to getting your car back on the road quickly and within your budget – every time! Welcome to Smith Automotive Solutions, Inc.
Smith Automotive Solutions is your trusted full-service auto repair shop in Cleveland, TN. We offer repairs, maintenance, and diagnostics in-house with experienced ASE certified technicians. We combine state-of-the-art technology with knowledge and professionalism to give you a great experience. We service all makes and models of vehicles including domestic and imports (specializing in Honda and Acura). We also service diesel and fleet vehicles and will work with your company to keep your commercial vehicles in top shape. From standard oil changes and maintenance to complete engine and transmission rebuilds, we do it all! When you need repair in Cleveland, TN, give Smith Automotive Solutions a call. We are happy to be your trusted automotive service center and look forward to serving you. Why Choose Smith Automotive Solutions? We have a 2 year 24000 nationwide warranty on our repairs. We service all makes and models of vehicles including Honda, Diesel and Fleet vehicles. All of our mechanics are ASE certified. We are a full service auto repair shop service Cleveland, TN and surrounding areas. We offer quick turn-around and competitive prices. We offer local shuttle service to our customers (by appointment). Come see us today for all of your automotive needs!